President President Cyril Ramaphosa on Sunday symbolically handed back land to a community of black South Africans who were forcibly removed from it under apartheid and promised to accelerate land reform. "We are making history and celebrating the return of your land today. We are righting the historic injustice and returning the land to its rightful owners," he said during a ceremony at Empangeni in northeastern KwaZulu-Natal. Land reform has become a hot topic in South Africa after Ramaphosa vowed that the country's constitution would be changed to explicitly allow for the expropriation of land without compensation. 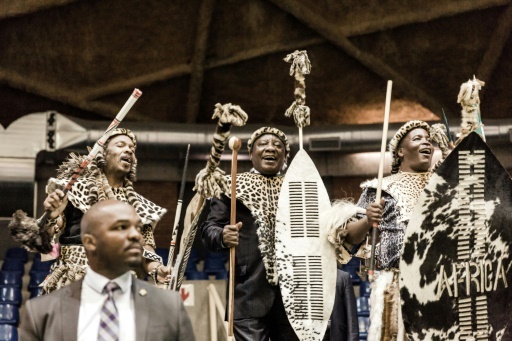 Ramaphosa, who took part in a traditional Zulu dance at the ceremony, said Sunday's return of around 4,500 hectares (13,000 acres) would be the first of a number of land claims "that we aim to unlock over the next few months". "Any failure on our part to reverse the injustices of our past... will result in social instability and economic decline in our country. This we cannot afford," he told the KwaMkwanazi community. "As government, we concede that much more could have been done since 1994 to accelerate land reform. "This government is resolute in our commitment to returning the land in an orderly and lawful manner. We shall not allow illegal land occupations."